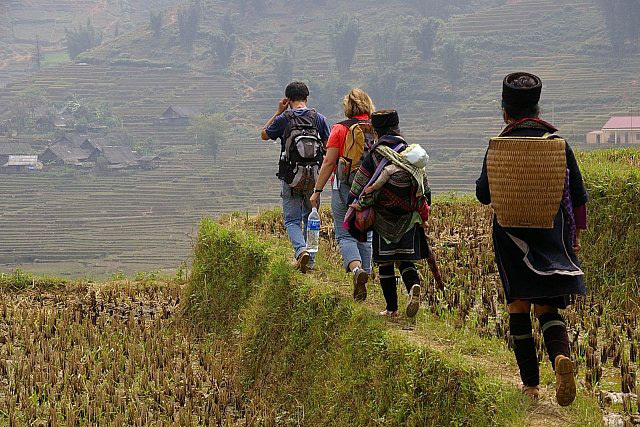 This trip is more suitable with the person who really keen on the wild natures and hill tribes as this is a hard trek and most of the overnight stay is in the local house that have a poor standard of living. 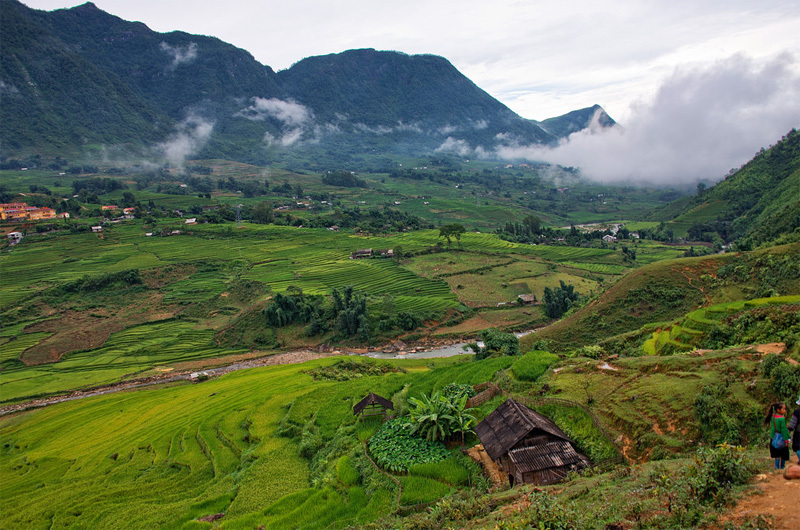 But you will have an opportunity to explore one of the most beautiful parts in Sapa area, which is under protection of Hoang Lien National Park. 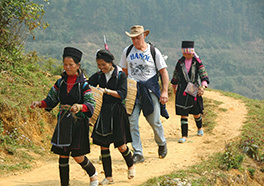 The trip also takes you to one of the most remote area where you can meet very friendly locals. Pick up at hotel in the city central, transfer to the station for night train to Lao Cai Sapa. Pick up at Lao Cai station then transfer to Sapa, having breakfast and start your trek through the market and leave the busy town behind. After a couple of minutes, you follow a road going downhill to Cat Cat village. 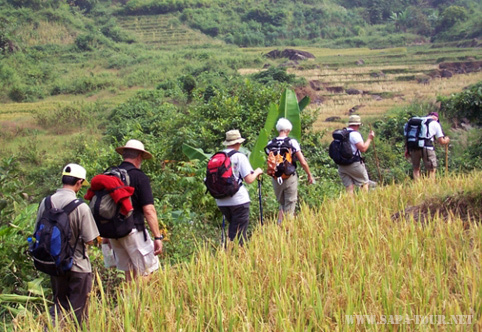 You will stop by a waterfall and a hydroelectric station for a while before you trek on a dirt trail through rice paddy terraces. You also will enjoy spectacular scenery while walking along a narrow river. 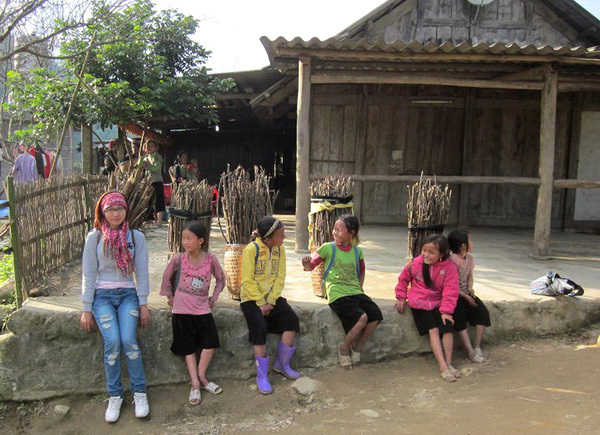 You eventually arrive in Y Linh Ho village of Black Hmong minority, where you can take a rest while you are served lunch nearby the river. The trek will be softer in the afternoon. But the scenery becomes even more beautiful. 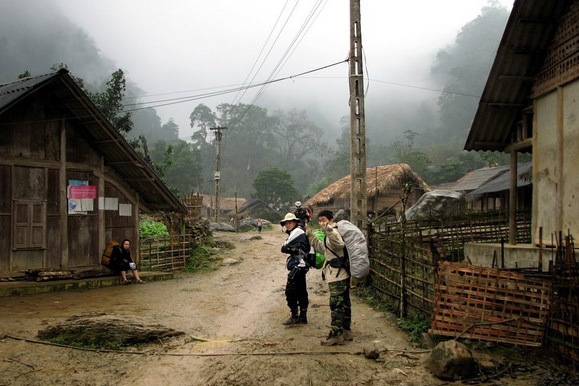 You will arrive in Seomity village of Black Hmong minority for overnight in a local family here. Approx: 4/5 hours walking/ 1 hour lunch. Today’s trek will be relatively short and soft. 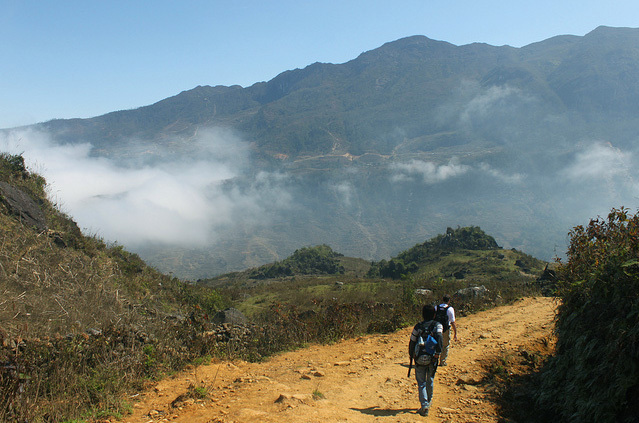 Once leaving Thanh Phu, you follow the trekking route built in the bottom of the valley, which offers the best view to the surrounding mountains. You stop at a nice spot for lunch. 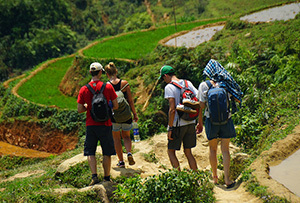 After lunchtime, you continue the walk toward Sin Chai village of Red Dao minority where the night will be spent in a local house in the village. You wake up for an early breakfast and repack your luggage for the long trek heading toward Lao Cai. 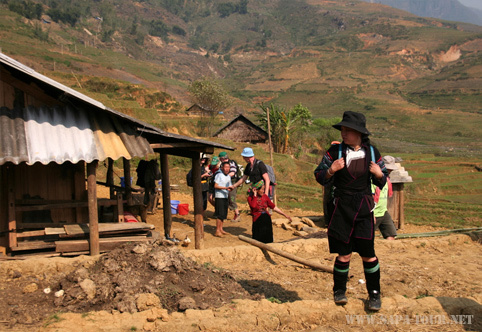 Once you leave Sin Chai, the trip takes you into a fabulously mountainous area, the most remote part of Sapa. En route you meet children’ curious eyes as you are very first tourists passing by. 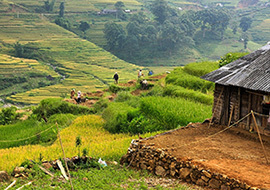 Red Dao ethnic minority inhabits the entire area. You will enjoy the fresh of bamboo forest and jungle until you make a stop at Nam Ket for lunch. After lunch, your trek will be mostly downhill. After about half an hour, you will have a opportunity to enjoy one of the most beautiful view of days over a green valley lying along the Red River. You eventually arrive in Ta Thang village of Tay minority. 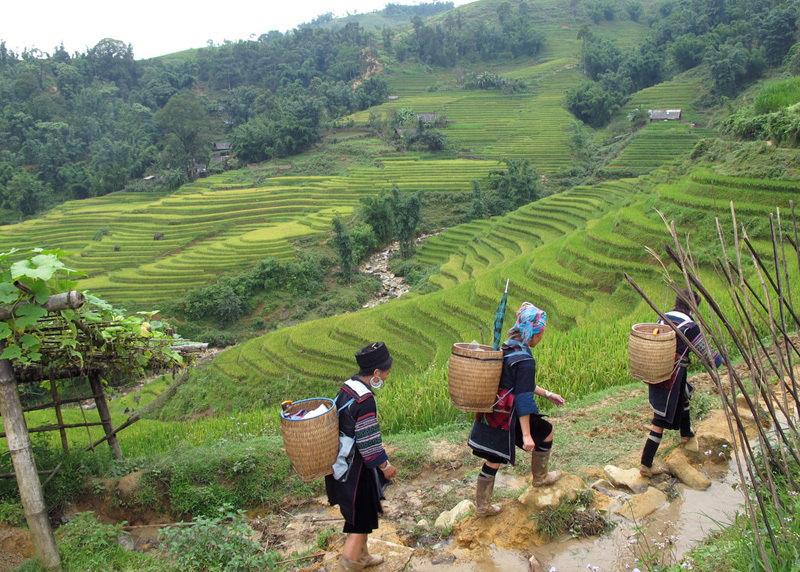 Here you will be transferred by car to Lao Cai. then take a night train to Hanoi. Overnight on train . Approx: 1-hour driving/ 5 hours walking/ 1 hour lunch. Arrival Hanoi in the early morning,Back to your hotel by yourself. End of all the services.